iSEE Congress 2018 addressed strategies for meeting our growing urban transportation, housing, and food needs sustainably and for making our cities more resilient to climate change. 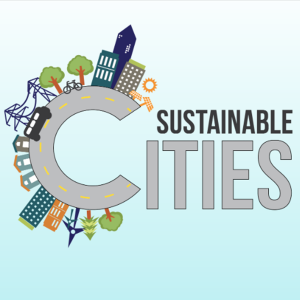 Cities are the centers of economic activity but also large consumers of energy and water and sources of solid waste, air pollution, and greenhouse gas emissions across the world. They are hotbeds for poor air quality, congestion, and densified housing, and they are vulnerable to extreme damages to life and infrastructure due to severe weather events. Cities with more green space, permeable surfaces, and disaster-resilient infrastructure emit fewer emissions, thereby benefiting human health and well-being and increasing resilience against extreme weather events. The 2017 event took in the breadth and depth of climate change. The is irrefutable evidence that the world is warming. And with that comes a challenge to our very way of life: A growing population must be fed — and kept healthy and safe — as increasing temperatures affect agriculture and ecosystems, and extreme weather and other climate-related factors put homes and lives in danger. Congress 2017 addressed the challenges posed by climate change, as well as areas for further research, education, and institutional development to adapt to it. In 2016, the focus was on the potential for improvements in energy efficiency, alternative forms of renewable energy, and other low-carbon sources of energy to meet societal needs for electricity, transportation, and heating more sustainably in the future. The Congress provided not only a forum to discuss the near- and medium-term challenges on the path toward sustainable energy consumption, but also key takeaways for an agenda of actionable research and policy directions that could contribute to long-term solutions. There is increasing recognition of the complex interconnectedness between water resources, food and energy production, and the need for new strategies for enabling interdisciplinary knowledge and systems-thinking to significantly address global water crises. Water is demanded for itself and as a critical input for energy and food production, leading to an interaction between water, food and energy resources — and efforts to address one will impact the other two. Water is used not only for human needs but also to maintain ecosystem services, which in turn affects human livelihoods and well-being. There is also increasing evidence that climate change is leading to increased hydrologic variability with a significant impact on the hydrologic cycle, water availability — and water demand at the global, regional, and local levels. Addressing these challenges across national and regional boundaries requires coordinated action by researchers, and government and non-government organizations — in conjunction with industry practitioners. iSEE convened this Congress to advance understanding of the state of science on the great challenges for agriculture in the coming decades: providing a secure and safe supply of food, feed and fuel to an ever-increasing human population using agricultural practices that are ecologically sustainable and adaptable to climate change. Day 1 of the Congress included sessions that address the implications for sustainability of the interactions among climate change, water resources, ecosystem services and agriculture. Day 2 focused on the promise and societal challenges posed by technological advancement for a sustainable agriculture and its implications for the research and policy communities.